Live a bigger, effortless life thanks to Watagan Park’s new boutique-style living, which has just been released! Have you ever dreamed of simplifying your life? Of doing away with all the clutter and taking up a more carefree lifestyle? Simple living may seem like a fad, but it’s become a way of life that many people have adopted in 2018. 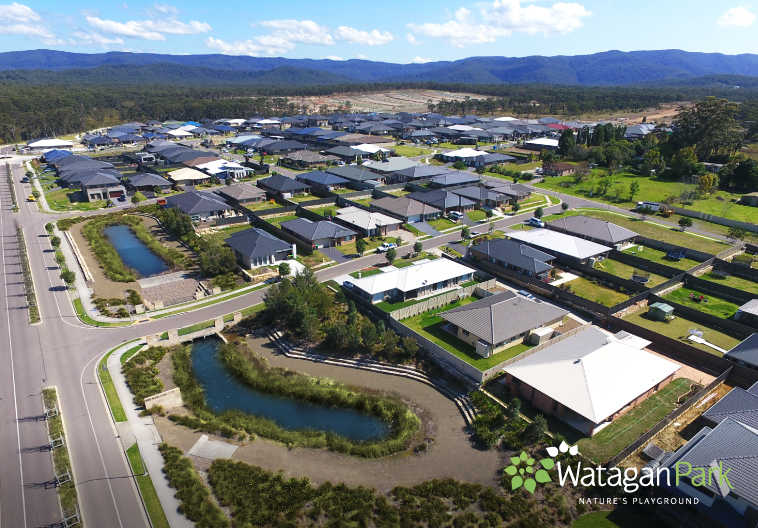 At Watagan Park, we want to provide more opportunities for this type of lifestyle for those who want less mortgage, less stuff and more freedom for living. We have just released a series of boutique-style housing, with lots dedicated to smart, simple living. They’ll be located on Courin Drive, which is within walking distance of Avondale School for families that are looking to live close to schooling. The blocks will range between 350-570sqm, leaving space for intimate housing with a single garage. They are suitable for first-home buyers, investors or downsizers and have been affordably designed to free you from financial worry so that you can spend more on experiences (Maybe investing in that holiday you’ve been dying to take!). There are 12 available in our first release, and construction has already started, so you will need to get in quick. Packages are full turn-key, meaning that your home will be ready to live in (complete with appliances) as soon as it’s built. Invest in quality over quantity and live a happier and less stressed life. Land starts at $185,888 and house and land packages are priced from $469,588. To register your interest, call 1300 888 888 and speak with one of our sales consultants.